I love summer, especially summer in New York. There's just so much to do and see. I've grown to appreciate it that much more since my move to Abu Dhabi. When I lived in NY I rarely took advantage of all the glorious things it had to offer. Now I'm practically chomping at the bit to get back there. That's how it usually goes right? You never miss the water until the well runs dry. Best believe I won't be making that mistake again. This is only the beginning, there are many more things I'll be doing once I get home but those are just the ones that demanded to be acknowledged. 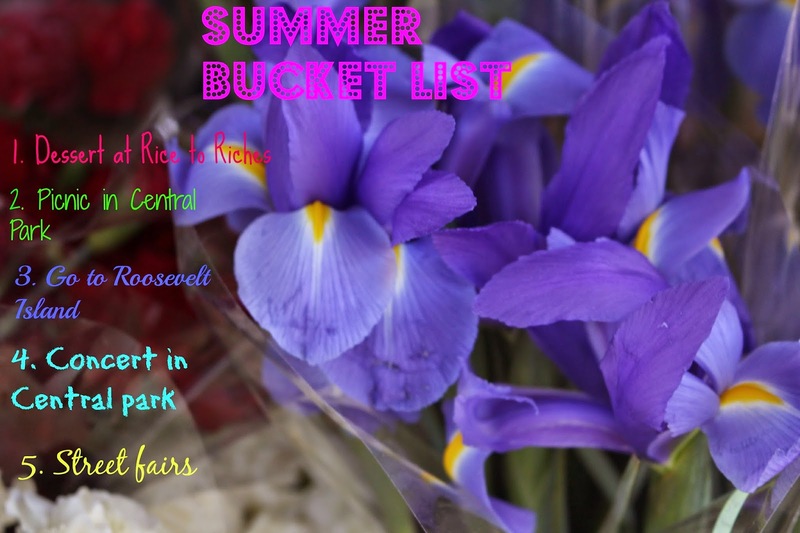 What's on your summer bucket list? Do tell!